These loaders has a drive in design, which means that it simply connects to any tractor. The bucket has a quick hitch design. The 225 is suited to larger tractors between 50 – 65 hp +. The side shift boom brings a new level of performance to the farmer, as it enables the main boom to be hydraulically shifted to either edge of the tractor. This allows digging closer to fence lines and buildings and can be used for many tasks including digging trenches, breaking up rocky soil, piping preparation, channelling rainfall runoffs, planting and relocating trees. This “Universal Model” is driven by the tractor’s PTO and has an independent hydraulic pump and reservoir allowing it to be retrofitted to many brands of tractors with a 3-point linkage. The VanBreda Stone Collecting Machine enables the collection and storage of stones on and under the surface. Rotor, designed to collect stones, comprises of a blade that underwent thermal treatment, and mobile springs. In this way, stones of every size and type can be collected without damaging the machine. The storage unit mechanism is provided with the help of hydraulic cylinders. Stones falling onto the sieve are removed from soil with improved steel collectors. Stones are moved to the storage and soil is put back into the field. Thanks to this outstanding design suitable for soil structures, it can be used economically in every type of field. All materials used in the design of the machine are chosen carefully to provide the best quality. This machine can be used anywhere, from stony lands, construction sites, gardens, fields, etc. Our 3.5 ton tip trailers have a full suspension for less stress on trailer and tractor. The trailer can be trailed faster and thus extends the trailers life. Some of the features includes a fully adjustable telescopic stand, fully hydraulic brakes, hooks for a tarpaulin, toolbox, lock rims, leaf spring suspension, drop sides, drop side extensions, hydraulic lifting arm, and a reinforced load body. VanBreda has been manufacturing heavy duty slashers for more than 30 years. These are available in 1.2m / 1.5m / 1.8m with side or rear discharge. VanBreda can manufacture any slasher or mower to your specifications. VanBreda compost turners are competitive in pricing and of superior quality. The models include the 250 (width 2.5), 300 (width 3.0), and the 350 (width 3.5). Bigger and self-propelled machines can be supplied on order. 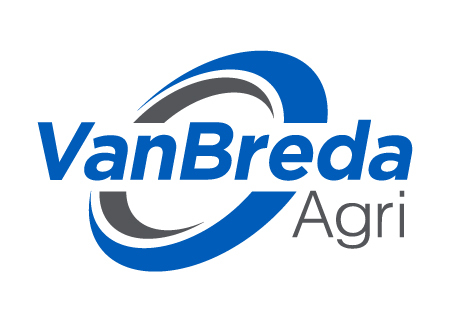 VanBreda manufactures a pruning platform which is fitted with Zanon air compressor system. All pruning tools are available on the trailer. This model is available in tractor pull or self-propelled.